Max Payne 3 is probably one of Rockstars biggest projects of 2012 and it should be a good reason, The Max Payne Series is one of their best works ever made and for the third game to come see the day of light after what feels like an eternity is rightfully deserved. To help fill the gap between the events of Max Payne 2 and 3 Rockstar is working on releasing a free series of Comics available via PDF (It’s only 14 pages so it’s not much of a page turner) to help inform the fans of key moments in Max’s life from Max Payne 1 and 2 and his childhood. 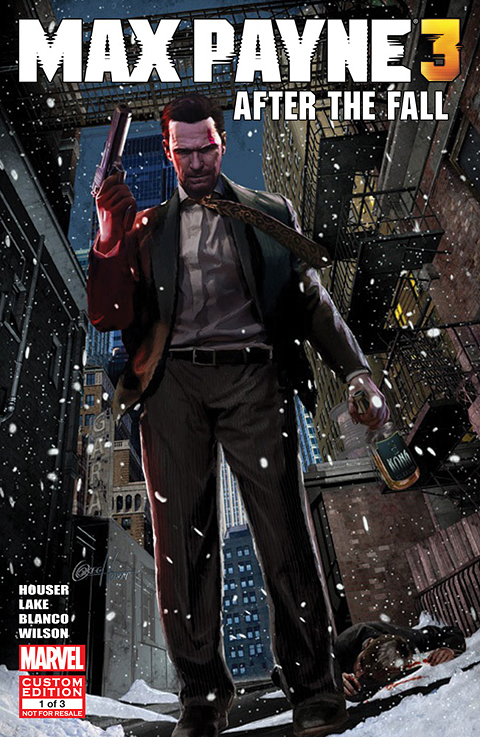 This has to be a great day of joy for a lot of fans of this marvelous series, I was a huge fan of Max Payne 2 and these comics will certainly help many players and fans get closer to Max as they find out more about his story following the events of Max Payne 2, the first issue is titled “After the Fall” which of course ties in with the tile of Max Payne 2: The Fall of Max Payne. Rockstar is being extra generous today and are sharing the comic with their fans as a free PDF and you can even stand to win the paperback comic by going to a certain link. You can also go Here to have a chance at winning the first issue in paperback as a collectors item by going to the bottom of the page Here but unfortunately the contest isn’t open globally and is mostly open to people in the EU / UK / US. The comic helps tell readers about Max’s life aside from the games, we discover more about Max’s Parents and their relationship and how their upbringing made him the man he is. If you are a true fan of the series then this is a real treat for you considering this is free.